FE is a key stage 5 class. It is a mixed ability class of students aged 16 to 19. It is run with a college approach to learning, with a more relaxed atmosphere than the rest of the school. All students have access to different levels of accreditation through ASDAN personal progress, PSD and employability and TITAN (Road safety scheme). 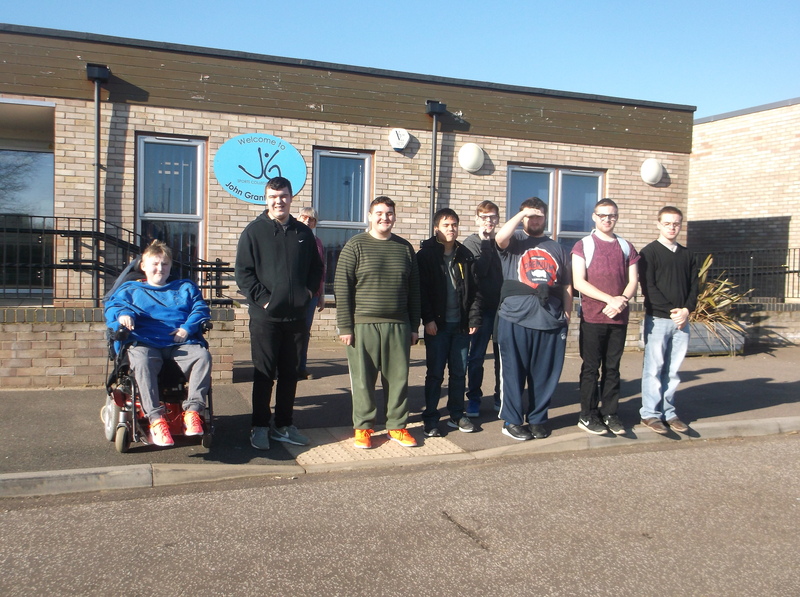 These units enable the students to access the wider community as frequently as possible to develop their independence skills and life skills. They continue to develop their skills in English and maths through the ASDAN units and in discreet English and maths lessons. They continue to participate in swimming, PE and PSHE. Preparations for this years leavers are well underway. The students leaving are completing their progress files for the leavers’ assembly and the Prom Committee are busy arranging their Prom. We have 4 leavers this year who are all heading off to East Coast College.